Part of our care for dogs is shown by giving dogs treats as reward, to show love, and just because. With so many treats in the market, how do you choose what type of treat you want to give your dog? Well, there are basically 3 types of food-based dog treats on the market: baked, meat plus, and meat only. I am excluding things such as bones, antlers, or rawhide. 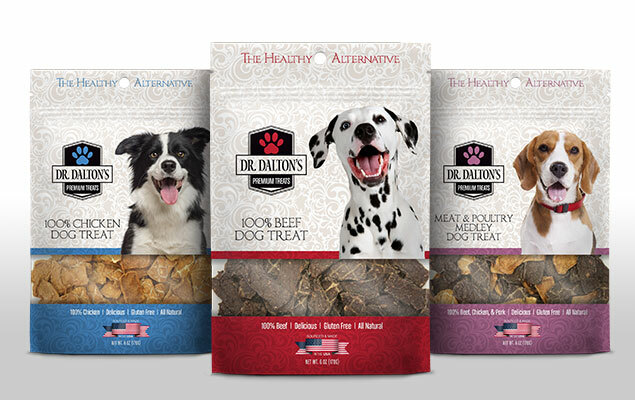 For picking the best type of dog treat for nutritional balance, I will walk you through the various options. Baked Treats: There are a lot of baked dog treats. It is good to note while giving your dog a baked treat, it has the lowest nutritional value, as these are made primarily of flours, salt, sugars, colorings, flavorings, and preservatives. It’s kind of like giving your kid a cracker for their snack. It’s not particularly healthy and has virtually no nutritional value. Meat Plus: The second category is what I call meat plus. These treats have meat in them, but the percentage and quality of the meat varies widely. They may contain a combination of other types of fillers, including salt, sugars, glycerin, colorings, flavorings, and preservatives. At the low-end are treats with very little meat and of questionable origin and questionable quality. With higher-end meat plus treats, you simply factor the quality and quantity of the meat against everything else put into the treat. For meat plus treats, you cannot judge a treat by its cover. Many companies put large pictures of the meat on the cover, but when you read the actual ingredient list, you see that meat is only a small proportion of the overall treat. In treats, everything included besides the meat works to raise the weight and size while simultaneously lowering its production costs. It is important in meat plus treats to read the label carefully for additional ingredients and determine if this is a good balance to your dog’s daily diet. If you are watching dog’s weight or health, you may want to move into the all-meat, carbohydrate free diet. 100% meat: The third category is 100% meat or poultry. All meat treats, while 100% meat, also vary in quality. All meat differences include the amount of fat per treat, where the meat comes from – is it US sourced, made or packaged in US, and quality of meat selected. Sometimes you need to read the very small print on the bottom of the package to find out. You want the meat to be from whole muscle instead of meat meal. Meat meal is the end product of a rendering process and can contain a wide variety of animal product including fat, cartilage, feathers, beaks, feet, and ground bone. If you cannot independently verify the quality of the meat meal, it is probably best to avoid it altogether. The best 100% meat treats are made from muscle meat. Muscle meat tends to be high in protein and low in fat, although still may require some trimming to remove unwanted fat. The best treats are bite size or capable of being easily broken to the desired size to prevent over feeding. In summary, all treats are not created equal. You have baked treats that are low cost but are also low in nutritional value. You may need to be careful how much you feed your dog in a balanced diet. Meat plus treats provide some protein and nutritional value but you must weigh this with the other ingredients added. The amount of protein derived from the meat is questionable. And with the 100% meat category, it is important read the amount of protein and fat, as well as look at quality and where it’s sourced. Additionally, beyond the nutritional value of the treat comes usability to help define the highest value of treats. The best treats often can be the most expensive, but you generally get what you pay for and your dog’s health is worth the investment.